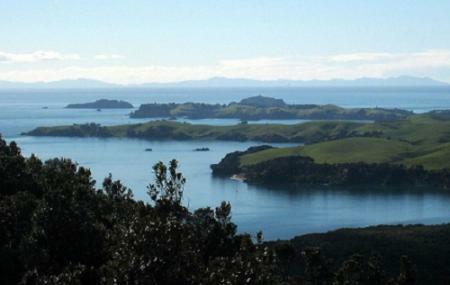 Motutapu Island is a heaven for wildlife and wildlife lovers. The island’s human habitation history dates back to 1190 AD when the Polynesians settled here. The island was inhabited by Maori for more than 100 years. Since after the World War, the small island has become a recreational hotspot with serene walking trails that offer close encounters with beautiful birds and animals along with the remnants of the battlements. Do carry your camera to capture the place forever in your lens. Contact Ferry operators for ferry prices. Contact Ferry operators for timings of journey to the island. By Ferry: Take a ferry form Aukland’s Ferry ports to Ferries dock on the island’s east coast. How popular is Motutapu Island? People normally also visit Rangitoto Island while planning their trip to Motutapu Island. Beautiful picturesque island full of history. I love this place more than ragitoto. Motutapu is fortunately relatively unknown but offers a far better experience compared to nearby Rangitoto. Is worth the walk from the Rangitoto Wharf. A really great day trip for the fit is ferry to Rangitoto Wharf, walk over to Home Bay, the across to Rangitoto Summit and down to wharf. 22km round trip, easily doable in a day. Amazing place for walks and swimming love it. Will be coming back. Beautiful and serene place close to Auckland city. Great for a day trek and also for camping. Camping area can be booked through DOC official website.Toilet facility is available.